Back in December, I wrote about the sad case where an elderly Alzheimer's patient was shot to death under the "stand your ground" law, which allows you to shoot basically anyone you feel like shooting if you can claim you are threatened. To quickly recap, Mr Ronald Westbrook was wandering at night with his dog, lost, and went to the wrong house. The people called the police, but then also went outside and shot the old man, killing him. Now the DA has decided that this sort of behavior is perfectly acceptable and no charges are to be filed against the cowardly young man who was afraid of an old man. 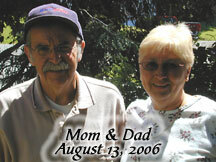 I know all too well that all Alzheimer's patients are not innocently befuddled forgetful angels. But in no article I've read has anyone suggested that Mr Westbrook was angry or threatening or in any way attacked his killer. In fact it seems that his only menace was lack of response. The District Attorney's office says they will not pursue charges against Joe Hendrix in the 2013 shooting of Ronald Westbrook. D.A. Herbert "Buzz" Franklin sent a news release Friday, explaining the details surrounding the case that touched on the "stand your ground" laws. This sets a terrible precedent. 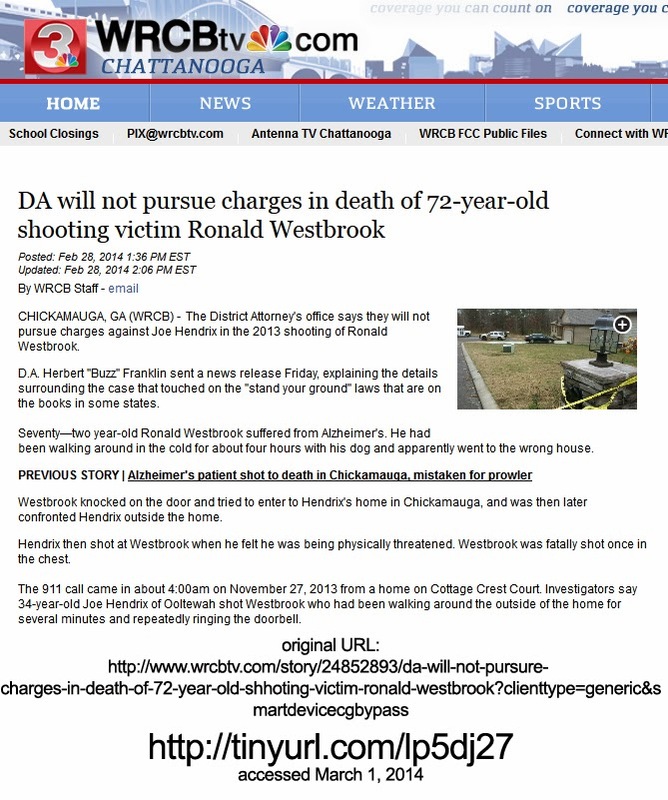 I am deeply saddened for Mr. Westbrook's family. Please feel free to stop by, or we could link sites?